More and more people and companies are increasing their budget for quality custom t-shirts. The ROI (return on investment) is much larger when you stick with the shirts that are follow the current trend because that is what buyers want. With technology in making affordable quality custom t-shirts the trend is really soft shirts that are light weight. While these quality custom t-shirts are a little more expensive, when it comes to higher quantities the cost difference is really incidental. When you factor in the increase on people either purchasing these shirts or receiving them as a giveway, the promotion starts to fall into place because these are shirts people actually wear. There will always be a place for the 5 ounce 100% preshrunk cotton tee. These are the economy tees that come in the most colors. However when polled, people want the softer lighter more comfortable tees and are more likely to spend their money on these. Companies and organizations big and small are starting to understand that their marketing dollars go much longer when they invest a tiny bit more on a product people will actually wear. Interestingly enough our clients who first started practicing the trend of ordering quality custom t-shirts were companies that were strictly buying these t-shirts to give them away free to get their message out there. They realized that their message would reach more people if they gave away a shirt people actually wanted to wear. At the end of the day on say a 200 shirt order these companies are paying a few hundred dollars more for a soft light weight tee but they understand that by investing a few hundred more dollars to their t-shirt marketing compaign, their ROI is much higher. Speding a few hundred dollars more that allows your message to now be worn on say 50% of the people you hand out shirts to actually ends up costing less than saving a few hundreds dollars and giving away a shirt that only 10% of the people will wear. It’s all about getting a message out whether it’s an awareness walk, a new brand of Vodka, or a special event. The more people that are walking billboards the better to get that message out to more people. Speding a few hundred dollars more to so that message gets to 40% more people, depending on how many shirts you give out could mean the difference between 100 people seeing your message or 4,000 people seeing your message. If the average return is 3% of people who see that message buy, then you are talkingn about the difference between 3 people and 120 people. That’s a huge gap and that’s why investing a little more in a quality custom t-shirts is a no brainer for the successful companies who reach their marketing goals. Now more than ever there are more options for the trendy softer lighter weight tees and because it’s technology that is making these t-shirts, the trend will of these shirts won’t just be a trend but will be the norm for the rest of the custom t-shirt market. Heavy cotton t-shirts were trendy because really that is all there ever was for the past 40 years. With technology, making lighter softer tees, people are realizing they’d always choose the option for to have something softer against their skin. No matter your need, soft shirts are worth taking a look at. 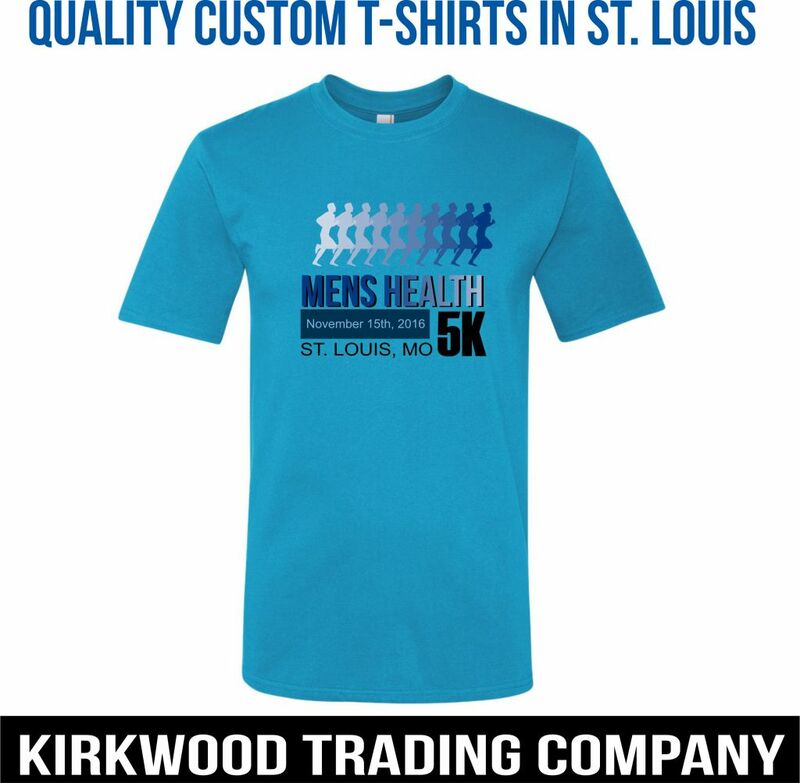 Contact Kirkwood Trading Company and we’ll be happy to discuss these options and we can talk about how design also increases exposure when printed on a quality custom t-shirt.